It’s an understatement to say those two words have captured the attention of businesses, organizations, governments, and individuals around the world. When searching for that exact-match phrase in Google recently, I was served about 6,650,000 results. Oh, and that was just results published within the last week. Forbes alone has over 12,000 webpages referencing “artificial intelligence.” McKinsey & Company isn’t far behind. The kicker is that AI references aren’t just coming from technology, business, and consulting juggernauts. It’s a topic so pervasive that you can’t even watch NBA commercials without hearing about it from Houston Rockets stars Chris Paul and James Harden in a State Farm ad. While insurance companies aren’t actually creating robots just yet, they are certainly leveraging AI technology in other practical ways. You simply can’t escape it. Clearly, there is massive interest in artificial intelligence from the general public—but even more so from businesses and professionals. Despite all the misconceptions about AI, smart companies understand that the technology will play a pivotal role in future growth and survival. Here’s your AI starter guide. For our purposes, artificial intelligence is technology created to complete a goal not through exact programming, but rather through the technology’s own devices, capabilities, and available resources (e.g., data). It can be used to execute repetitive work, solve problems, or even create something. This is done through learning and iterations without predetermined results but with a predetermined purpose. Despite all the misconceptions about AI, smart companies understand that the technology will play a pivotal role in future growth and survival. Another decent description of AI is its ability to perform tasks normally requiring human intelligence. But, as we’ve seen with Google’s AlphaGo program, AI can exceed human intelligence in specific scenarios through superior prediction. One important distinction of AI to make is ANI (Artificial Narrow Intelligence) vs. AGI (Artificial General Intelligence). ANI has a rather specific application, like driving a car, while AGI has broad application, like human intelligence. The former is what we’ll focus on here. AI vs. a traditional computer program can be a difficult distinction to wrap your head around. To help clear this up, a good example is video games. Consider an immersive, large-scale video game like Fallout. *Disclosure: I do not play Fallout, so I apologize in advance to any fans reading this for potentially butchering its concept. The game (which features a post-nuclear war setting) is open world (meaning there is no single track or story progression) and role playing (meaning you dictate the actions/decisions of the game’s characters). The choices you make in Fallout have consequences on the game’s trajectory and your character’s place in it. Bringing things back to AI, no matter what variables you throw at the game, there are still only a set number of responses or paths the game can respond with. In other words, it’s purely reactionary. If this then that. No matter how expansive, detailed, or unique the game may seem, at the end of the day, it’s still just a “dumb” program. When adding artificial intelligence to a video game, one enhancement could come with the creation of truly unique experiences for each player based on their playing activity or even offline traits. If a game knows you dislike driving vehicles or flying while playing, it may limit or remove those parts from your experience. Just imagine this kind of application for businesses. Optimized experiences at every turn. The potential benefits of artificial intelligence for businesses are staggering. From personalized sales funnels to improved customer experiences and increased retention, the possible bottom-line impact is impossible to ignore. If only in a general sense, hopefully this example helped define what AI is, what it is not, and more importantly, its possibilities. The potential benefits of artificial intelligence for businesses are staggering. From personalized sales funnels to improved customer experiences and increased retention, the possible bottom-line impact is impossible to ignore. With AI, you won’t be leaving money on the table. What Are Some Common Misconceptions of AI? Despite all this pandemonium, AI is still misunderstood more often than not. Just like Bitcoin is not synonymous with blockchain, artificial intelligence does not represent a single thing, but rather a new frontier of technological possibility. With this in mind, I’m sure you’ll agree it’s a bit amusing seeing articles being churned out with titles such as, “How AI Will Change (insert your industry here).” Imagine if we talked about another transformative technology, like the internet, in the same way today? “Well, sure the internet will change your business.” Yes, AI is kind of a big deal. In hindsight, I’m sure we’ll all have a good laugh. Perhaps the biggest misconception of AI I observe today is its accessibility now and in the immediate future. Currently, artificial intelligence is largely discussed in ethereal terms: something that’s within reach of only the most masterful engineering and research teams. It’s a common misconception that AI is within reach of only an elite few, but AI will reach the majority sooner rather than later. To be fair, this is a very understandable perspective. What has long been considered science fiction quickly became reality for organizations and the general public. Believe it or not, artificial intelligence research has been going on for well over half a century, but it’s now having its moment. In large part, this has to do with increased computing power at cheaper and cheaper costs. Adoption has quickly moved from innovators to early adopters, and you can bet that AI will reach the early majority sooner rather than later. The perception that AI is for a talented few also reinforces the notion that robots are coming for our jobs. While that is true in a sense, it’s not that simple. A more accurate framing would be, “Robots are coming for our old, boring jobs.” Yes, while this technology will indeed disrupt and replace an incredible amount of the workforce, it will also require a lot of help and ongoing collaboration from humans. This will come in the form of trainers, creatives, strategists, practitioners, and more. An entirely new ecosystem of work will be created via AI. In organizations, roles will change in positive ways—reducing mundane work and enabling more creative, impactful work. This may sound overly optimistic, but it’s likely going to be the case for the foreseeable future. To be clear, there are many important ethical, legislative, economic, and other discussions that need to occur around this topic. While outside the scope of this post, it’s imperative to note that need and to act with empathy for affected groups. AI will create an entirely new ecosystem of work. Roles will change in positive ways–reducing mundane work and enabling more creative, impactful work. Finally, I’d like to note that I have no particular expertise or training in artificial intelligence (and that’s really the point). AI is an open door for anyone willing to learn something new and to begin experimenting with it. Artificial intelligence will inevitably impact your organization and your own life in significant ways. The only question is how we’ll react to it. Now, let’s now dive into some of the different types of artificial intelligence and their uses for organizations. What Are Some Types and Applications of AI? While there are a great number of variations, I’ll focus on a few major types and applications of AI that are impacting organizations right now. 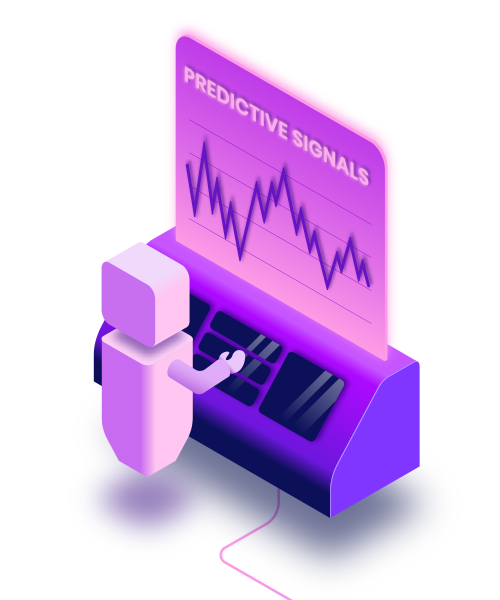 Perhaps the most well-known type of AI, machine learning is a system/program of prediction for specific tasks that is trained on large amounts of structured data. It then produces outputs (predictions) from new inputs of the same types of data. Regression analysis lends itself very well to machine learning algorithms. Both serve prediction goals, but while statistics relies on explicit relationships between data, machine learning is more or less a natural-learning approach. Furthermore, machine learning differs from traditional programming in that logic is not explicitly programmed. Rather, it “learns” how to solve a problem through provided examples. The creation of a model also allows for ongoing improvement of the task at hand. Finally, machine learning is a very limited form of artificial intelligence, meaning that the intelligence is only reactive. The system has no memory or concept of the world, only the present task at hand. Use Gmail? It’s home to one of the most widely used applications of machine learning: spam filtering. Google has claimed it catches as much as 99.9% of spam and phishing messages. Machine learning is an ideal solution for the problem of unwelcome emails considering the mountains of training data available to them. The model continues to be perfected with time and more data, too. Machine learning’s applications in finance are extensive, including everything from day-to-day stock trading to risk management and beyond. Leveraging this technology can greatly improve returns over time, help to reduce bias when approving or denying financing, and more. Machine learning is great in this situation, even outperforming humans in some scenarios, thus allowing professionals to focus on deeper, analytical, or subjective issues. If you’re like me, you enjoy keeping up with the latest in music. 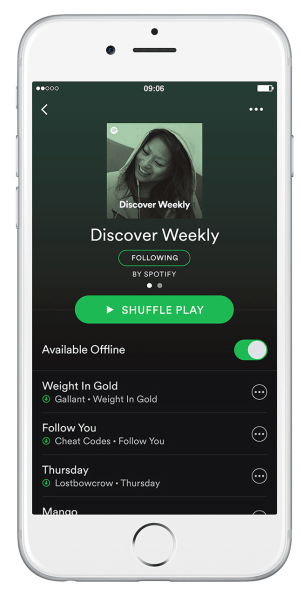 Spotify’s personalized playlists such as Discover Weekly take advantage of machine learning to create the best possible experience for listeners on an individual level, aligning with their tastes. The impacts of this are a significant contributor to Spotify’s high market share in the music streaming space. Machine learning is fueling quick advances in personalized customer experiences and support. One of the most common applications right now is chatbots, which can easily be integrated into a brand’s website or social media presence. Using big data and smart trainings, chatbots can instantly give customers the precise information they seek about a product or service in a simple chat format without interacting with a support agent. Under the umbrella of AI and machine learning fall deep learning and neural networks. First off, neural networks are a model attempting to loosely mirror the brain’s neural functions, utilizing a sequence of connected data layers. These relationships also contain hidden layers that produce nonlinearities, or unproportional results relative to inputs. That “black box,” so to speak, is essential to the system and is really where the magic is. Putting it all together, deep learning simply uses this multi-stage network of “neurons” to produce desirable results. Advanced applications of this result in “deep neural networks,” all of which are still considered AI. Finally, this technology utilizes what’s known as “limited memory”—the ability to make use of past experiences instead of being purely reactive like machine learning. Look no further than Google Photos. Recent developments in machine “sight” have been nothing short of incredible. You can now search, shop, and more with a single keyword. Convolutional neural networks excel at this application. Intertwined with image recognition and beyond, self-driving cars rely heavily on neural networks to guide their actions in real time and with instant consequences. But with all the data available to them, these AI programs are technically more experienced drivers than us. Given the incredible nuances of speech even within the English language (e.g., Bostonians and Southerners), deep learning is responsible for the incredible accuracy and usefulness of personal assistants like Amazon’s Alexa. They’ve come a long way since Apple rolled out their first version of Siri in 2011. Let’s be honest, most companies are not working AI into their development budgets this year. Costs and the talent required can be incredibly high for proprietary projects being worked on by the likes of Uber and Amazon. But, AI is much more accessible than you may think. In fact, it will reach the masses first through everyday tools we already use. Let’s now jump into AI’s applications for various levels of organizational tools. Microsoft Excel is obviously one of the most ubiquitous programs for businesses, and it also presents a compelling case for explaining basic AI. Most users of the popular Microsoft Office program are aware of its macros feature, which allows you to record and then automate a series of steps or tasks—potentially saving you hours of time when completing recurring work such as quarterly reports. This is a simple form of programming. Now, imagine your macro has run and you’re left with a report. Great, but something is missing: insights. What information actually matters in this report? Traditionally, this has been a primary job of analysts, of course. But what if this process could be aided by AI? Microsoft is way ahead of us. The company has been rolling out “Insights” features to Microsoft 365 subscribers since late 2017. These features can seek out everything from irregularities to peaks to troughs and beyond in the data. Then the system suggests visual formats to display it in. Pretty cool, right? AI is much more accessible than you may think. In fact, it will reach the masses first through everyday tools we already use. At Clearlink, we work a lot with geographical data. Can Excel’s AI help us here? You bet. Using machine learning and a supporting knowledge graph, its “Queries & Connections” feature can identify some data types being inputted and provide additional, supporting data that may be useful. So if I’m populating a spreadsheet with various Utah city names, it may provide the option to add information such as ZIP codes or even population data with the click of a button. Stellar. This can save us tons of time versus manually compiling various information. Hopefully this example shows the incredible potential for AI in our daily work. Imagine the possibilities for other common programs such as Google Analytics, MailChimp, and beyond. No matter your industry, I’m sure there is something monotonous or difficult in your daily work that frustrates you or your team. There has to be a better way, right? Using AI, companies are already breaking ground in countless industries with tools that transform the way work is done. As an example, let’s examine SEO (Search Engine Optimization). As an SEO specialist, I rely on a wide variety of tools to complete my day-to-day work. Whether it’s uncovering technical site issues with a site crawler, checking link trends with an online database, or crafting content ideas from a keyword report, my tool belt is essential to completing quality, often data-driven, projects. When it comes to content creation and SEO, it’s often difficult for companies to know what topics to write about. More importantly, which topics (and subtopics) will resonate most with a given audience and drive desired actions? Using AI, companies are already breaking ground in countless industries with tools that transform the way work is done. Enter MarketMuse, a content research tool that leverages machine learning to streamline the content planning, creation, and optimization process to create high-performing organic search pages. In a nutshell, by inputting a keyword or phrase you’re focusing on as a business, one of its features then tells you what subtopics and related topics to cover. MarketMuse works by analyzing top search results and using topical modeling to give your content the direction it needs. Machine learning is baked right in, helping to produce better results than traditional keyword or content tools. While no tool is perfect, MarketMuse is a good addition to any digital marketing team’s tool belt. For SEO tools, it’s only the beginning for machine learning and AI. But adoption will begin increasing quickly. This same pattern is taking hold of more and more industries every day. If you think your industry is immune, just wait. Finally, if your organization is interested in experimenting with AI, I’ve included a few platforms below to get you started. I encourage everyone to start conversations with their development teams around the subject. Beginning is easier than you may think. Just remember to always have a business goal in mind first. I hope this article has answered some beginning questions surrounding artificial intelligence as it relates to organizations and individuals. Keep in mind, however, that this is only an AI starter guide. I hope you now have even more questions than you started with. Organizations of every size and industry are beginning to test and adopt artificial intelligence technology at an increasing rate. It’s quickly made its way into our everyday lives via our devices and common apps. For better or for worse, AI’s influence will soon touch a majority of our digital interactions. Like any transformative technology, we cannot halt its progress—at least in the long run. Despite the massive challenges AI presents for society, organizations of all levels can have a role in a shaping a truly better future with it. Interested in learning more about AI at Clearlink? Visit our Data Science Solutions page. Ryan Hansen has been working in SEO for several years, joining Clearlink in late 2017. He loves sitting at the intersection of marketing technology, site performance and content strategy. When Ryan’s not optimizing, he enjoys playing piano, boxing, or anything outdoors. Ryan also blogs about SEO and marketing at ryanahansen.com.